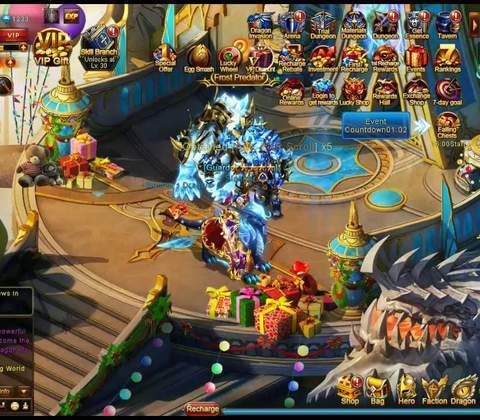 2D Turn-Based MMORPG - In Dragon Awaken, level up your hero - and your party - and take on the world while you sit by and watch for the most part. There’s a certain sense of satisfaction that comes from watching a character in an RPG progress, especially if you feel like you haven’t done much except watch as quests complete and dungeons crumble. That’s the sense you get from playing Dragon Awaken. It’s not unlike one of the oodles of idle games out there, like Cookie Clicker. Or, if you’re born of a different era: Progress Quest. Much of the game is automated. Even the quests don’t really require much effort. Just click the objective and you’ll autorun to the NPC. 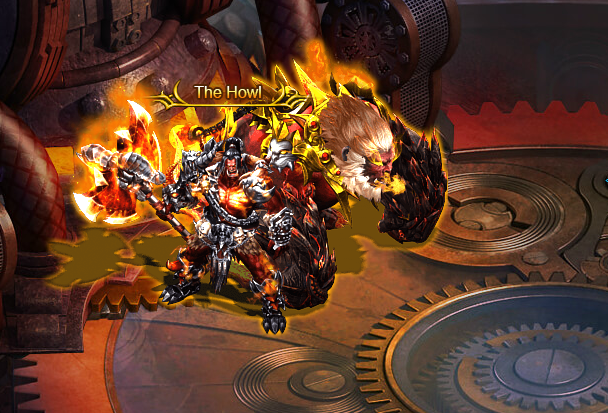 For the most part, it’s all about watching your power increase, and for the first 30 levels or so, the game hardly slows down as you get new gear, recruit party members, and level up the dragon companion that gives the game its namesake. There is some strategy involved, though. The game doesn’t do everything for you. You must manage your party yourself, and find the best synergies therein. Although, most of the time, that does boil down to positioning your tankier characters in front and putting your squishier casters and ranged heroes in the back, but as you progress further in the game, there is some choice as to which heroes to include in your party, and which to bench. Benched heroes have a use, too. They can be placed in a Backup to grant you some passive bonuses. But once you have your preferred team of heroes, you have to level them up, which might amount to dumping all of your upgrade materials into your favorite hero to make them as strong as possible while also trying to keep the others from becoming too weak. But just like most games of this nature, there’s a grind, and it starts to come into play at about level 30. That’s when the experience gain starts to slow down, and the next level isn’t just a quest away. Dumping some money into Dragon Awaken will surely help to alleviate these slow points, but the game gives you enough activities that you never really have nothing to do. There’s the main quest, as well as a bunch of side quests that all help to guide you down a preferred path of play, but there are also daily tasks to complete, as well as limited events, including challenging dungeons that truly test your mettle. In fact, there’s so much to do, and so many mechanics at play, that the UI is practically covered in various icons for various menus and activities. That, and the occasional pop-up add, definitely make it a bit spammy at times. Once that grind does come into play, expect to replay some of the game’s content in an effort to progress. The regular dungeons offer up some experience and loot, and the material dungeons allow you to get the necessary materials for upgrading weapons, armor, and heroes. After a while, you’ll unlock multiplayer dungeons which spice things up a bit and have their own loot tables. These are intended for four players and their dragon companions, but no other NPC party members can join along in the adventure. What more, you have to actually play them, moving around the dungeon, attacking enemies, eventually killing a boss. There’s also a Stamina system that doesn’t seem too restricting. Just don’t expect to play the game for 16 hours straight. 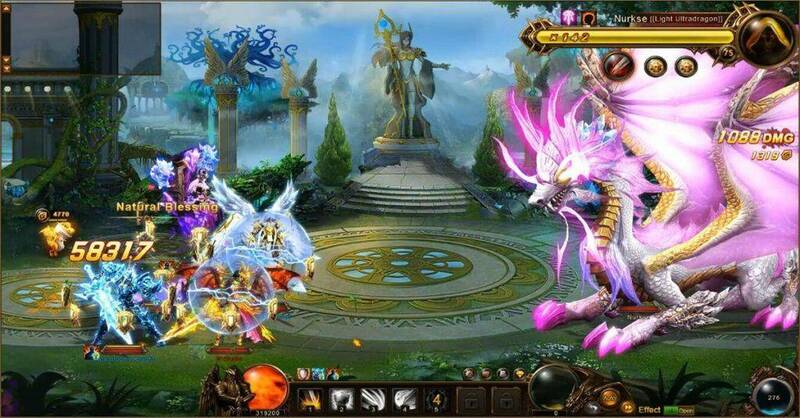 Of course, at its core, Dragon Awaken is really just a Flash game, but that doesn’t necessarily mean it looks bad. Some decent 2D art went into making this game, even if it drew inspiration – or perhaps straight-up borrowed assets – from some other popular games, including what definitely appears to be both Garrosh and Gul’dan from WarCraft. Chinese-based games have always had a pretty loose relationship with copyright laws in the first place, but there’s plenty of original art, too. As you’d expect from a Flash game, Dragon Awake will run well on a wide variety of systems, but do expect the occasional framerate drop regardless of how powerful your machine is. This might be due to poor optimizations, or just a weakness of the Flash engine, but the game is constantly streaming in the assets. This works quite well for the most part, but there will be loading screen as you access new parts of the game, as well as the occasional blurry texture as everything catches up. 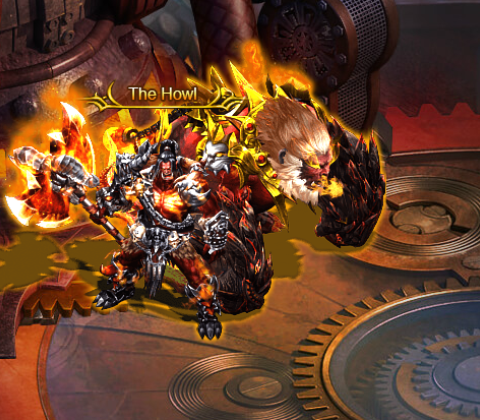 Flash game or not, Dragon Awaken is a free-to-play MMORPG, so a cash shop is expected, and though the game is quite generous during its onset, the hooks start to show themselves once the grind starts to kick-in at about level 30. Sure, you could trudge along redoing dungeons and knocking secondary and daily quests off the list in an effort to get more powerful. Or, you know, you could spend some money to acquire some amber and boost yourself that way. Then that one dungeon or enemy that’s been giving you a run for your money will simply fall over dead. Of course, systems like this aren’t necessarily egregious, but they do tend to exploit those with less self-control. 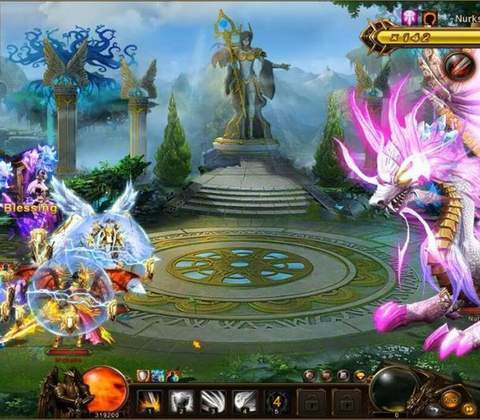 In the same sense that idle games like Clicker Heroes and Cookie Clicker have their rabid fanbases, Dragon Awaken, too, has a fair amount of enjoyment to be had from its sense of progression and RPG elements, and technically, you’re doing more than you ever would in an idle game, so if you’re the patient type – or the type that enjoys a good grind – or even the type that likes to have something running in the background while preoccupying yourself with other endeavors, well then, maybe Dragon Awaken will awaken something in you. 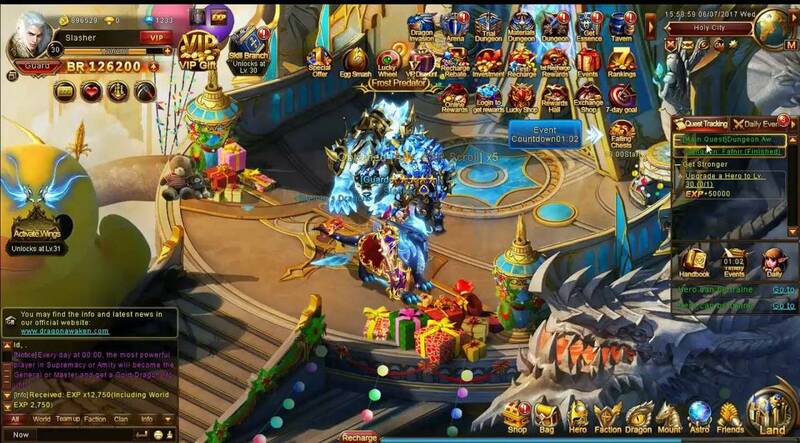 Ready to enter the world of Dragon Awaken? Click here to play now!